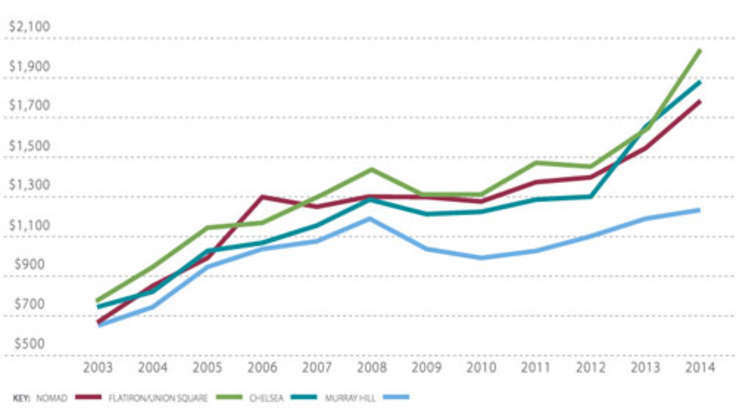 Many of the 10 new affordable housing projects will be built to Passive House standards. 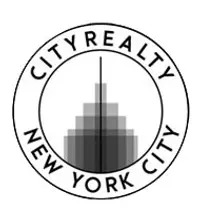 Following the city's selection of developers to build 400 affordable apartments in the Bronx, Brooklyn, and Manhattan along with Mayor de Blasio's recent announcement that the city financed a record number of affordable homes this year, Cityrealty has uncovered 12 brand new affordable housing developments making their way to NYC – and soon. 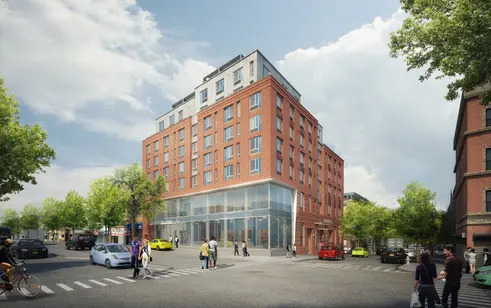 Not surprisingly, nearly all are popping up in the Bronx and many on this list are designed to meet Passive House standards, including the new NYCHA Holmes 50-story tower in Yorkville, which will be the world's tallest Passive House when complete. This former vacant lot is in now in the process of transforming into a 7-story, affordable, sustainable, and mixed-income community with around 11,000 square feet of retail space and 45 apartments, consisting of studio to three-bedroom units. It will be constructed to meet Passive House standards and LEED Gold certification, which will reduce the building’s environmental impact and ensures healthy living conditions. About 83% of the units are expected to be restricted to 60% of the AMI, and the rest will be reserved for families making 80% and 100% of the AMI. The facade will feature photovoltaic solar panels on the roof and windows fins to shade from the sun. This first Melrose North proposal by Paul A. Castruccci Architect was designed in response to a request for proposal (RFP) and depicts a colorful 200-unit mixed-use building at 925 Courtland Avenue, across the street from Railroad Park. It would offer studio to two-bedroom units, along with amenities like a roof garden, a community kitchen, an education center, and staggered terraces designed to maximize southern exposure and minimize shading on the park and street. The development would also be a supportive housing center with social workers on site. The architects were able to show that the additional cost to build this to Passive House standards would be less than 1%. The second proposal for Melrose North is by Curtis + Ginsberg Architects. Their design calls for 170 new units of supportive and affordable housing, 7,200 square feet of community facility space, and is even expected to meet Passive House standards and LEED for Homes. The project’s brick façade is broken into a series of three masses and will feature a 100-foot mural wall as a “symbol of the neighborhood’s diversity and vitality,” according to the firm’s website. This 85,000-square-foot mixed-use development in Hunts Point will open in 2019 and house a total of 108 units throughout its 8 stories. 60 of those will be affordable housing units and 48 will be set aside for senior housing. Amenities will include 3,700 square feet of community space and a common green rooftop terrace. This upcoming 50-story tower in Yorkville will be the tallest Passive House in the world when complete. It was announced (PDF) last week that Spain's 'Bolueta' is the tallest Passive House in the world at 288 feet (beating The House at Cornell Tech's 277 feet), but it looks like this new 50-story mixed-use tower in the Upper East Side's Yorkville neighborhood will eventually hold that title. It’s set to be located between two existing Holmes Tower between First & York Avenues and is being developed under the New York City Housing Authority’s NextGeneration strategic plan. A four-story base will offer 13,000 square feet of recreation and community facility space and above, there will be 340 studio to three-bedroom residences, half of which will be affordable and the other half, market-rate. Other highlights of this forthcoming tower include new open spaces, like a promenade and playgrounds, and all the benefits of a Passive House – thermal comfort, exceptional air quality, reduced noise, low utilities – as well as flood proofing and a rainwater catchment system for the green spaces. Yet another Curtis + Ginsberg-designed development, this 12-story senior housing project will provide 154 units, 5,712 square feet of community facility space, a fitness center, sunroom, and a roof terrace with space for a community garden. The building will feature a highly-insulated building envelope and an advanced mechanical system to create a comfortable environment for its residents. The units will be rented to senior aged 62 and up with incomes up to 60% of the AMI and 30% of the units will be reserved for homeless seniors. Demolition and new building permits (still pending) were filed earlier this year for the site, which is currently the home of Trinity United Methodist Church. In the works for over ten years, The Senior Renaissance, a nine-story, 53-unit Passive House residence for seniors is finally coming to 281 Bonner Place in the Bronx. When complete, the building will offer up a mix of studio and one-bedroom layouts, along with a daycare facility on the ground floor and cellar. This marks the first Passive House to be developed by the Mid-Bronx Senior Citizens Council, who found its energy savings, lower maintenance fees, and comfortable living to be excellent incentives. This Passive House certified and affordable housing development called Dekalb Commons is currently in schematic design. 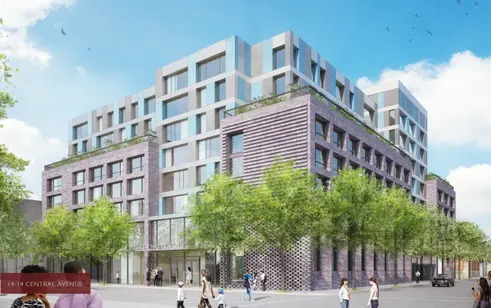 When complete, it will bring two 7-story buildings and one 4-story building to Bedford Stuyvesant's Dekalb Avenue, on the same block as Kosciuszko Pool. The 85-unit project aims to provide new housing options for local residents who are being displaced due to rising rents. Along with affordability, it will offer a safe community space on Dekalb Avenue, retail space, and a rear yard with a children’s play area. Adding to the Bronx Pro Group’s portfolio of affordable housing is a 6-story, 30-unit building at 2126 Mapes Avenue in Belmont. Upon completion, it will consist of 2 studios, 6 one-bedrooms, 16 two-bedrooms, and 6 three-bedrooms with rents and incomes restricted to a maximum of 30%, 60%, and 80% of the AMI. Features include a Passive House design, solar photovoltaic panels, and the promotion of healthy living via active design and quality indoor air systems. Via Vyse is a new 12-story, 121-unit building coming to the West Farms neighborhood of the Bronx. It will be a mix of supportive and affordable housing for low-income families. Half of the units are targeted to adults and families with special needs and the other half will be available for families earning less than 60% of the AMI. Amenities will include a community room with a kitchen, a computer room/library, a fitness room, a rear yard garden and children’s play area, and a landscaped rooftop terrace. Occupancy is expected June 2019. Coming to Norwood in the Bronx, Parkside Terrace is a new 7-story, 80-unit affordable housing project that will offer a mix of studio to three-bedroom residences and amenities like an on-site program space, a community room, a 6th floor landscaped roof terrace, a laundry room, secure indoor bike storage, and a rear yard that features a children’s play area. Units will be open to families making 50%, 60%, and 95% of the AMI and 12 studio apartments will be set aside for adults with developmental disabilities. Occupants are expected to move in this October. The Sunset Park Library regularly comes in as one of the busiest branches of the Brooklyn Public library. A new branch will be twice the size of the current space while offering an open design and up-to-date technological infrastructure. The new building will also have 49 deeply affordable studio through three-bedroom apartments on top. A portion will be set aside for formerly homeless New Yorkers. Completion is estimated for 2020. Three blocks from the Far Rockaway LIRR station, the Nazarene Church will be incorporated into a new eight-story, 142-unit affordable housing development. Residential amenities are expected to include a lobby, bike room, mail room, community room, recreation room, and landscaped outdoor terrace. The church will have brick pillars to indicate its location and a separate lobby that leads to a double-height sanctuary. Its offices, meeting rooms, and space for an after-school youth vocational training program will be on the building's second floor.